Bouncy Ball Rabbit fur String Cat Toy - NEW JUMBO SIZE! 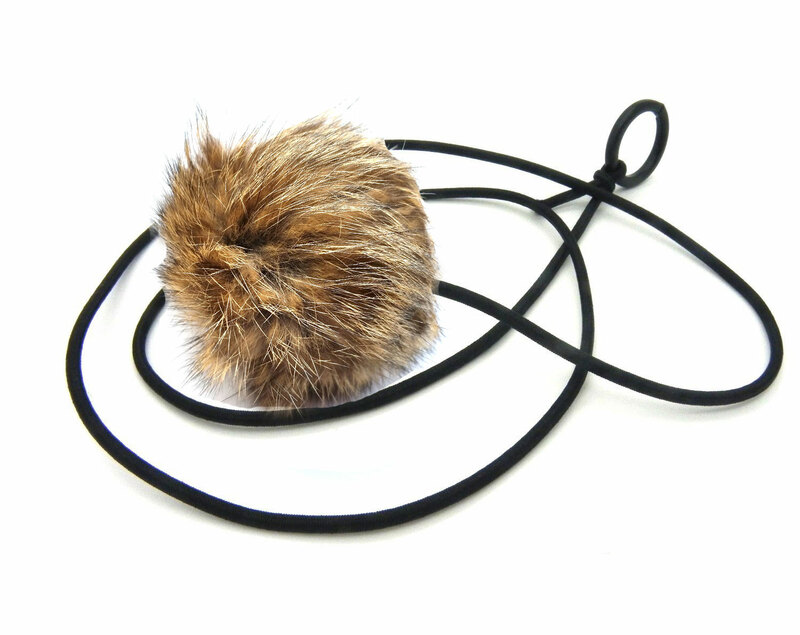 Real rabbit fur Cat toy on a Elastic String. Nice Size! Beautiful Natural rabbit fur pom pom come in Natural Colors or Natural White. The soft fluffy pom pom is nice size of 3 inches or 7 cm. in diameter. Elastic colorful cord is 36"long attached with a plastic ring.